Jenelle Potter's former friends Billie Jean Hayworth, Billy Payne were murdered. A Tennessee woman in prison for the murders of a young couple with whom she had been feuding online said she didn't want them to die. "I went through a lot with them, but I never wished them dead. I never wanted them dead," Jenelle Potter, 34, told ABC News' "20/20" in an exclusive interview about the murders. Potter was found guilty in May of first-degree murder and conspiracy to commit first-degree murder for the 2012 shooting deaths of Billie Jean Hayworth, 23, and Billy Payne, 36. 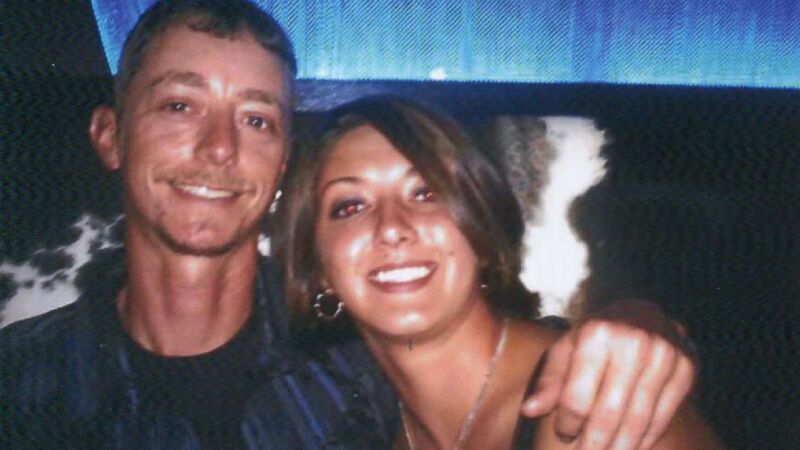 Potter is serving two concurrent life sentences for the murders of the couple who were found in their Mountain City, Tennessee, home with single gunshot wounds to their faces. Hayworth died while holding her 7-month-old baby boy. He survived unharmed, though he was found covered in blood. Prosecutors believe Potter created a false online identity of a CIA agent named Chris, in a phenomenon known as "catfishing," to fool her parents and her boyfriend and to goad her father into killing Hayworth and Payne. Potter had a crush on Payne and wanted him and Hayworth dead after they moved in together and had a child, according to prosecutors. (Tracy Greenwell) Billie Jean Hayworth was dating Billy Payne, and the couple lived together with their 7-month-old baby boy. But Potter, who lived at home with her strict parents and spent most of her adult social life on social media, denies this. She said she was the victim of anonymous cyberbullying, some of which she believes came from Hayworth. "I didn't hate [Hayworth and Payne]. I just disliked them. I wanted [them] to quit. I wanted the harassment to stop," Potter said. Potter was once friendly with Payne in person, hanging out at barbecues and even going rappelling together. But a feud on social media erupted and, eventually, they deleted each other as friends on Facebook. "I think that we did it to each other. I unfriended them. They unfriended me," Jenelle said. "I did Bill first and then I think Billie did me. And I unfriended her." Police had a major breakthrough in their investigation of the murders after interviewing Potter's boyfriend, Jamie Curd, who admitted to being involved in the murders and told police that Jenelle Potter’s father, Marvin Potter, shot Hayworth and Payne to protect his daughter from what he perceived as an imminent threat? Curd, who was Payne's cousin, also told police that he'd been text-messaging a man named Chris, who told him he was in the CIA and said his job was to protect Jenelle Potter from her enemies at all costs. After Marvin Potter, who is known as "Buddy," was arrested for the murders, he also told police his daughter's life was being threatened. 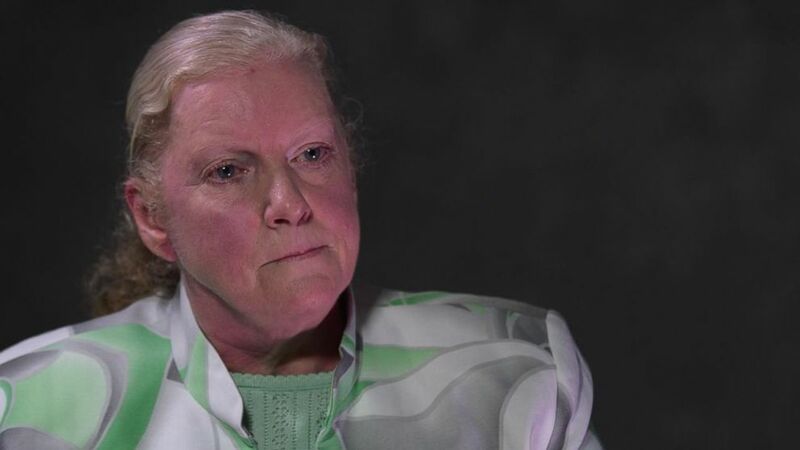 Jenelle Potter's mother, Barbara Potter, told "20/20" that “Chris” told her in emails that he was watching her family's every move and was monitoring what Payne and Hayworth were allegedly saying on social media about her daughter. 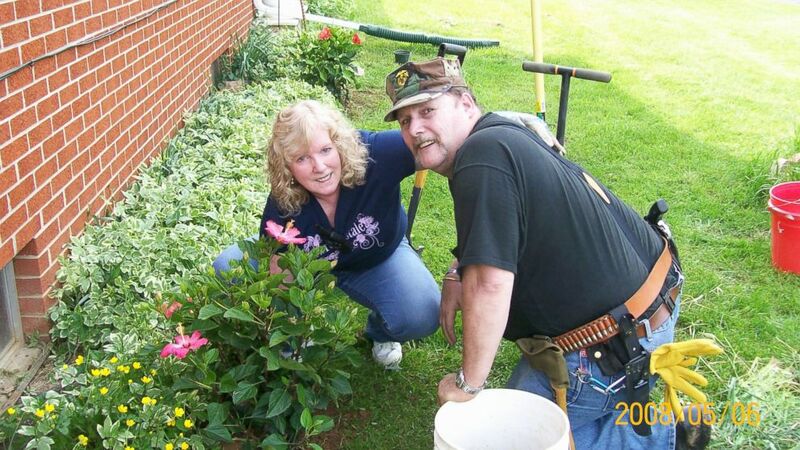 (Washington County District Attorney's Office) Jenelle Potter lived with her parents Barbara Potter and Marvin Potter, pictured together here. "He said he couldn't use his real name, his real identity," Barbara Potter said. "He was watching these people that he said were harassing her on the computer and calling her." Jenelle Potter said of communicating with the supposed CIA agent Chris through email, "I thought he was someone that I was friends with in school. He said he was down here to protect me, protect my parents. He did different jobs. He had dogs." Jenelle Potter said her father became more protective with her because of the alleged threats she was receiving. But when police took a look at the computer they seized from the Potters' home, they learned the emails from the CIA agent “Chris “were all coming from an account that belonged to Jenelle Potter, and a review of the IP address confirmed that. "Every one of them pointed straight back … to Barbara and Janelle's home address," Tennessee Bureau of Investigation special agent Scott Lott told "20/20." Prosecutor Dennis Brooks told "20/20" that “social media allowed Jenelle Potter to be someone that she wasn't. When she invented Chris, she could assume a different identity and be as hateful as she wanted to be." But Jenelle Potter said Chris was using her email to protect his identity. "I emailed him through my email, and I said, you know, 'How'd you get my screenname, password?' I changed my password lots of times. I've done everything. Nothing ever showed up in my sent box," Jenelle Potter said. 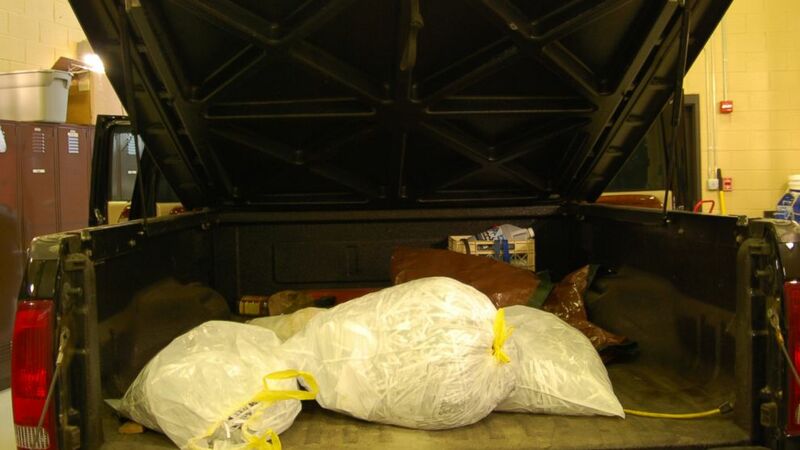 (Washington County District Attorney's Office) An agent meticulously reconstructed the shredded papers found in Marvin Potter's truck, pictured here, which appeared to be thousands of emails sent to the Potter family. When they impounded Marvin Potter's truck, police also found several plastic bags of shredded emails that an agent put back together. In one of them, Barbara Potter was communicating with “Chris” and sounded like she wanted Payne and Hayworth dead. "We've had enough. No one wants to kill anyone but we will," Barbara Potter wrote in the email. Armed with evidence that he believed proved the entire family was involved, prosecutors also charged Barbara Potter and Jenelle Potter in the killings. "Barbara and Janelle share the responsibility. I think they would be called masterminds. Janelle kind of spurred it. Barbara got it to happen," agent Lott said. "She may be on a fourth-grade level, but she has a Ph.D. in manipulation," Brooks, the prosecutor, said. (ABC News) "I don't want anybody murdered. I did not do that," Barbara Potter told ABC News' "20/20." Barbara Potter is serving two concurrent life sentences for first degree murder and conspiracy to commit first-degree murder, while Marvin Potter is also serving two consecutive life sentences after being convicted in October 2013 of the murders. Curd took a plea deal of 25 years in prison. "I love my daughter. I love my husband, but I would not sit here and lie for them," Barbara Potter said. Marvin Potter, Barbara Potter and Jenelle Potter are all planning to appeal their convictions. Midway through her interview with "20/20," Jenelle Potter shut down in tears and walked out back to her cell.